Thanks again for the donations - your acts of generosity will bring the gift of sight or hearing to someone in need. Congratulations to Sheila Whitaker on her election and best of luck on the Town Council! Now Hear This! is provided to Around the Common by Roderick Walsh, Bridgewater Director of Veterans' Services. On 15 May 1942, a bill establishing a women's corps in the U.S. Army became law, creating the Women's Auxiliary Army Corps (WAACs) and granting women official military status. In May 1941, Representative Edith Nourse Rogers of Massachusetts, the first congresswoman ever from New England, introduced legislation that would enable women to serve in the Army in noncombat positions. Rogers was well suited for such a task; during her husband John J. Rogers' term as congressman, Rogers was active as a volunteer for the Red Cross, the Women's Overseas League, and military hospitals. Because of her work inspecting field and base hospitals, President Warren G. Harding, in 1922, appointed her as his personal representative for inspections and visits to veterans' hospitals throughout the country. She was eventually appointed to the Committee on Veterans' Affairs, as chairwoman in the 80th and 83rd Congresses. The bill to create a Women's Auxiliary Army Corps would not be passed into law for a year after it was introduced (the bombing of Pearl Harbor was a great incentive). But finally, the WAACs gained official status and salary-but still not all the benefits accorded to men. Thousands of women enlisted in light of this new legislation, and in July 1942, the "auxiliary" was dropped from the name, and the Women's Army Corps, or WACs, received full Army benefits in keeping with their male counterparts. The WAACs performed a wide variety of jobs, "releasing a man for combat," as the Army, sensitive to public misgivings about women in the military, touted. But those jobs ranged from clerk to radio operator, electrician to air-traffic controller. Women served in virtually every theater of engagement, from North Africa to Asia. It would take until 1978 before the Army would become sexually integrated, and women participating as merely an "auxiliary arm" in the military would be history. And it would not be until 1980 that 16,000 women who had joined the earlier WAACs would receive veterans' benefits. 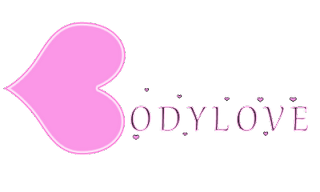 Are You Unhappy With The Way Your Body Looks And Feels? Avoid Mirrors and Cameras Whenever Possible? Feel Frustrated With Your Body? Have Trouble Finding The Time To Take Of YOU? Feel Tired, Impatient and Crabby? Want To Take Action But Feel Stuck Where You Are? Have Trouble Sticking With An Exercise Routine? Feeling unhappy with the way your body looks and feels is painful. It touches every part of your life. It weighs you down, holds you back and hurts your confidence. It affects your mood, your energy and your health. It affects your family, your friends and your job. You know you want to be in better shape but you feel stuck where you are, unable to get where you want to be. Noelle Is Offering this Awesome Workshop to Holistic and Realistic Clients For FREE and to Past Clients For Only $5!!! On Saturday, May 5th, from 9:00 AM to noon, the First Parish Unitarian Universalist Church of Bridgewater will host a Metal Recycling Day. In accord with the Key for Hope Foundation, a local non-profit group whose sole purpose is to give back to the community and improve the lives of those in need, all proceeds from the Metal Recycling Day will be donated to the Bridgewater Food Pantry. 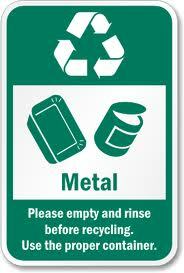 The metal recycling bin will be located in the church parking lot, adjacent to the CVS on Plymouth Street, near Bridgewater center. Any metal items that attract a magnet (tools, pipe, refrigerators, air conditioners, file cabinets, fencing, keys, etc), as well as those do not (aluminum gutters), can be recycled free of charge. One need not be a resident of Bridgewater to participate; all community members are welcome. Volunteers will be on hand to help unload items. The event is being sponsored by First Parish Church's Green Sanctuary Committee. First Parish Church has been certified as a "Green Sanctuary Congregation" by the Unitarian Universalist Association for its efforts to promote environmental justice and environmentally sustainable lifestyles for its members as individuals and as a faith community. 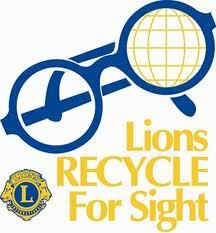 The Bridgewater Lions Club will be collecting eye glasses and hearing aids at the voting polls on Saturday, April 28th. 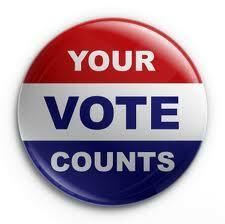 The idea is to think of eyeglass and hearing aid recycling whenever we vote. 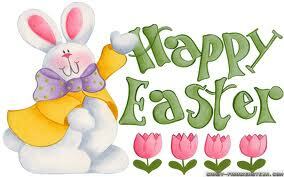 Members of the Bridgewater Lions Club will be present all day long so please make sure to bring your donations. 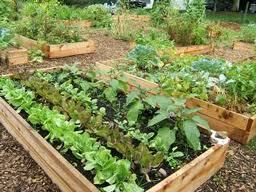 Learn about Bridgewater's community garden with Arthur Lizie and how you can be a gardener too! The Town of Bridgewater seeks an experienced professional to serve as the appointed Treasurer/Collector. With Bridgewater’s acceptance of a Home Rule Charter, the post is transitioning from an elected to an appointed position. The Treasurer/Collector plans, controls and directs the functions of the Treasurer and Tax Collector’s office including the billing, collecting and depositing of receipts; cash management; and long and short-term borrowing, and serves as a key member of the town’s finance team. The town seeks a candidate with the experience and enthusiasm to be an integral part of the financial revival of the community. This position is a member of the United Steelworkers’ union and has a full benefit package in accordance with the collective bargaining agreement, and reports to the Town Manager. Local legislation has been filed to create a Finance Department, which could adjust the direct report to a Finance Director. Salary range in accordance with the most recent collective bargaining agreement is: $60,552 - $81,432. The upcoming town election on Saturday has a contested race between Josh Randall, Bill Rivers and Sheila Whitaker all vying for the Town Council At-Large seat. Who are you voting for? Poll is now open to the right! The One Book One Community program is pleased to present Ben Hewitt the author of The Town That Food Saved and Making Supper Safe. The event is taking place on April 24th. Book signing and sale of both books at 7:00 PM at the Horace Mann Auditorium in Boyden Hall at Bridgewater State University. The lecture takes place at 7:30 PM. The event is free and open to the public. No tickets required. The town’s Community Preservation Planner, Jennifer Goldson, with the help of the Housing Partnership and citizen input, has drafted a Housing Production Plan. Formal endorsement of the Plan by the Town Council, the Housing Partnership and the Planning Board would enable the town to gain greater control over affordable housing production. Click here to read the draft Housing Production Plan. 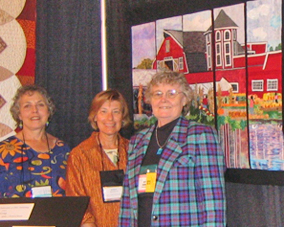 The Coastal Quilt Artists will present a program at the Bridgewater Public Library on Saturday, April 21st at 11:00 a.m. Their talk will focus on the art of quilting, the process, and where they find their inspiration. CQA artists are currently displaying a selection of their quilts in the library’s Flora T. Little Gallery which will continue through the end of April. Exhibitors are: Lynne Conover, Betty Crowell, Janet Duncan Dignan, Janet Dye, Sandy Gregg, Anne Marcin, Penny Myles, Graciela Piccolo, Joan Randall, Mary Lou Schwinn, Pat Smith, and Bobbie Sullivan. The public is invited to this free program which will be held in the library’s Flora T. Little Meeting Room on the lower level. Parking is available in back of the library, located at 15 South Street. The local Bridgewater Chapter of the International MOMS Club® (MOMS Offering Moms Support®) invites Bridgewater mothers and their children to an Open House on Friday, April 27th at 10:30am. This event will be held upstairs in the kindergarten room of the Central Square Congregational Church. The MOMS Club is a nonprofit organization specifically for at-home moms, including those who work part-time or from the home. Come and learn about the variety of activities we offer including play groups, park outings, zoo visits, crafts, and more. The MOMS Club provides opportunities for moms and children to meet new friends, get support and encourage one another. After donating several cakes Paula Surette of Cake by Paula decided it was her passion to grant smiles with her custom cakes. Paula is now the state representative for Icing Smiles which consists of locating a baker when a family is in need of a custom cake. She will keep in contact with the family until after the cake is delivered to make sure everything went smoothly. With volunteering the other duties consist of finding bakers willing to donate their time and wonderful creations and providing information to the communities within Massachusetts. This is a completely volunteer position that Paula takes very serious as she strives to provide the biggest smile of all. Memories have magical powers. Long after the cake is gone, the memories linger-- memories of the kindness of a stranger, of the art of the design, of the sweet smells of a special treat, of the smiles and laughs, of a normal childhood experience so often stolen from these children. These memories are why we say, "It is so much more than a cake." The Children’s Room of the Bridgewater Public Library will hold a Fancy Nancy Party on Wednesday, April 18th at 2:30 p.m. Activities include a story and craft based on the Fancy Nancy books by Jane O’Connor. This program is for children ages 4 years and older. Participants are invited to come dressed in their fanciest attire. Light refreshments will be served. Registration is required and begins Monday, April 2nd. To register, stop by the Children’s Room or call 508-697-3331. 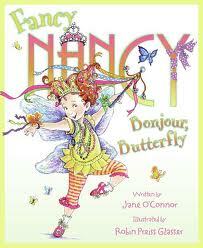 The Fancy Nancy Program is funded by the Friends of the Bridgewater Public Library. 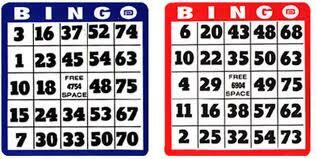 The Children’s Room of the Bridgewater Public Library will offer Book Bingo on Thursday, April 19th from 2:00 – 2:45 p.m. This program is for children age 6 and up. Registration is required and begins on Monday, April 2nd. To register, drop by the Children’s Room or call 508-697-3331. 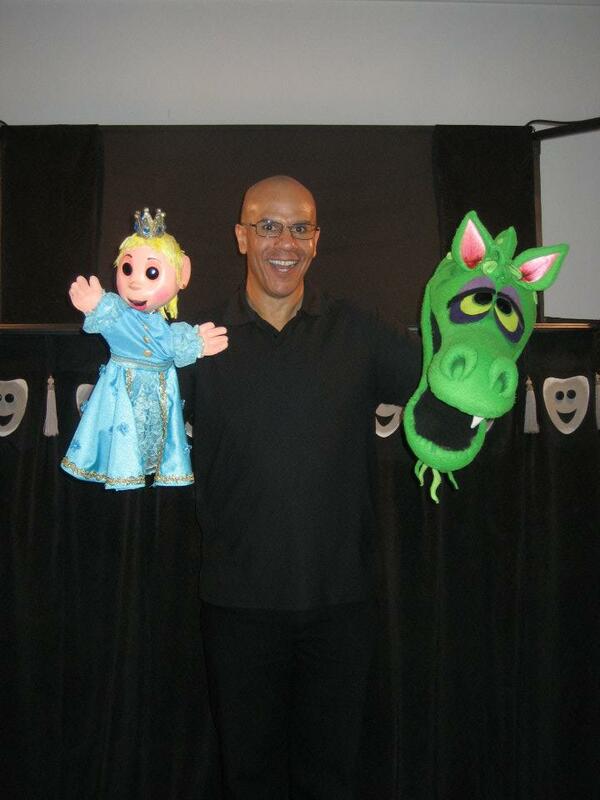 On Saturday, April 14th, the Pumpernickel Puppets will be at the Bridgewater Public Library to present Sir George and the Dragon, a puppet show for children age 3 and up. The program begins at 11a.m. in the Flora T. Little Room on the lower level. No registration is necessary. Sir George and the Dragon will be presented with a cast of colorful puppet characters, audience participation, live voice and sound effects and a fast paced script that not only entertains, but stimulates children’s imagination and creativity. A demonstration period follows every performance by the Pumpernickel Puppets which gives the audience some insight into what happens behind the scenes. This program is funded by the Friends of the Bridgewater Public Library. Bridgewater Television is rapidly approaching its 25th year as an active community access station, and has been providing the community with truly high quality programming accompanied by coverage of town meetings, religious services, local sports, politics, school events, and more. Over 90% of BTV programming is produced by dedicated volunteers, but Station Manager Jeff Fowler is concerned that many town residents may not be aware of the opportunities that exist in the state of the art facility on 80 Spring Street. As a result, the BTV team is planning a night to show case all of what BTV has to offer. On April 26 starting at 7:00 pm BTV will be hosting it’s first ever open house. The hope of the station is that community members will get a chance to see first hand all of the technology and resources that are offered and available to the community, which are supported directly by Comcast subscribers who live in Bridgewater. The event will include a personalized tour of the studio and production truck. Community members will enjoy interactive activities, including a chance to videotape themselves on the news desk, in front of the green screen, and on the sports set. Producers will also be on hand to provide info to prospective volunteers and interns. This is sure to be a fun filled and informative night for both the BTV staff and members of the community alike. If you would like a chance to get in on the action you can join the BTV team at 80 Spring Street, Bridgewater MA on April 26 from 7-9pm . For more information on this event you may contact Jeff Fowler at 508-697-1833 or email him at jfowler@btvaccess.com. Caylor Kitchen is taking orders for First Communion, Baptism and Christening Cakes now. Small cross which serves 25-30 is only $45, large which feeds 75-80 for only $75. Hand placed sugar pearls and local delivery included. Order now and avoid the last minute rush! 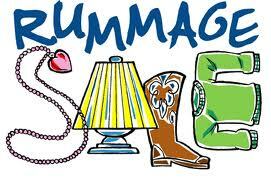 The St. Thomas Aquinas Women's Club will hold their Spring Rummage Sale on Saturday, April 21st from 9:00am to 4:00pm at the Parish Center on Center St. Bridgewater. There will be clothing, shoes, domestics, jewelry, books, bric-a-brac, small furniture and more. The buck-a-bag will be from 2:00 to 4:00. Attention Bridgewater candidates! BTV's Bridgewater This Week is running a special election edition on April 20th. Each candidate will have five minutes to introduce themselves to the town. If you're interested, please call the studio at 508-697-1833, or email BTV at afortin@btvaccess.com. The deadline is April 19th. The Bridgewater-Raynham Special Education Parents Advisory Council (BR-SEPAC) will be holding their monthly informational meeting on Tuesday, April 24th at 6:30 pm. Following the meeting (7 pm), a lecture titled: Understanding and Responding to Challenging Behaviors: It's Not As Simple As A-B-C will be presented. The meeting will be held at the Bridgewater-Raynham High School Lecture Hall (second floor) located at 415 Center Street, Brigewater, MA. The BR-SEPAC is made up of parents that represent about 850 children with special needs within the Bridgewater-Raynham School district. 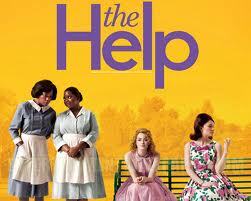 An aspiring author during the civil rights movement of the 1960s decides to write a book detailing the African-American maid's point of view on the white families for which they work and the hardships they go through on a daily basis. The South Shore Curling Club (based out of the Bridgewater Ice Arena) is having a Learn to Curl session on Friday, April 27 from 8:00-10:45PM. 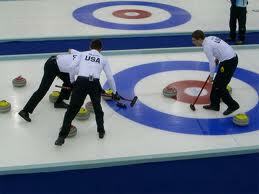 It's great for people who have seen curling on the Olympics (and wondered what the heck all that sweeping is about) and want to try curling themselves. Cost is $35 for the lesson, limited to 32 people. In celebration of National Library Week 2012, the Bridgewater Public Library has announced a “Food for Fines Week” from April 9th through April 14th. Instead of cash, canned goods will be accepted in payment for overdue materials to a limit of $10. Each can equals $1.00 in fines. Canned goods will not be accepted in payment for lost or damaged items. 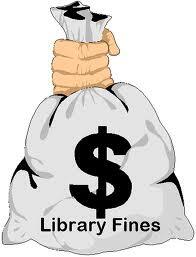 This will apply to items owned by the Bridgewater Public Library. Items which have been borrowed from other libraries are not included. All donated food items will be transported to a local food bank, to help people from our local community. Please check your cans for expiration date before bringing them to the library, as expired food items cannot be accepted. For more information, call the Bridgewater Public Library at 508-697-3331. Dr. James Hayes-Bohanan will speak at the Bridgewater Public Library on Monday, April 9th at 1:00 p.m. 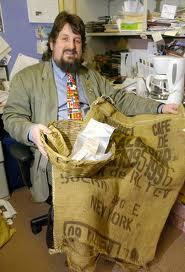 He will speak about coffee, and the human and physical geography of the world’s second-most traded commodity. The audience will learn about the origins of coffee, how it is grown, and how customers can help coffee farmers improve their lives. Dr. Hayes-Bohanan is a faculty member in the Geography Department at Bridgewater State University. 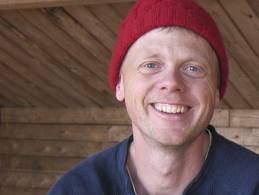 He will be assisted in his presentation by a group of BSU students who have studied coffee on campus or in Nicaragua. Bring your questions about coffee and bring a mug for the delicious coffee that will be served.